Catholic News World : Wow Benedictine #Nuns release New Album on St. Joseph that will touch your Soul! Wow Benedictine #Nuns release New Album on St. Joseph that will touch your Soul! The Benedictine Nuns have a newly-released album this by the chart-topping community in rural Missouri who is devoted to the hearts of Jesus, Mary, and Joseph. Mother Cecilia, prioress of the Benedictines of Mary, Queen of Apostles,The Hearts of Jesus, Mary & Joseph at Ephesus was released to coincide with the May 1 feast of St. Joseph the Worker. Funds from the sale of the album will support the construction of the expanding community's priory church, which has $2 million remaining. The album can be purchased from the nuns' website at https://music.benedictinesofmary.org/ or at Amazon. Digital copies are available from iTunes. Mother Cecilia reflected that ICardinal Burke) “His Eminence turned to us and said simply, 'You know what you should do is one to the Sacred Heart of Jesus, the Immaculate Heart of Mary, and the most Pure Heart of St. Joseph.' The album includes 22 tracks, eight of which are original pieces. One of the original compositions, “Hymn to the Three Hearts”, is by a guest composer, Lisa Nardi, and the song includes lyrics written by the sisters at the priory. 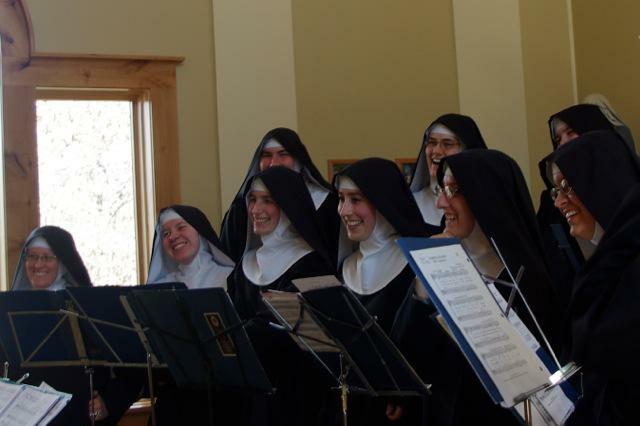 The Nuns were Billboard's Best-Selling Classical Traditional Artist several years in a row, and their albums have topped Billboard's Top Traditional Classical Albums. Sales of The Hearts of Jesus, Mary & Joseph at Ephesus will support construction of the priory church, which was begun in May 2017.